Anyone who read my review of Labarake’s opening night knows I was left somewhat underwhelmed by how the night went down. A couple of weeks have passed since then and I was recently invited back to give it another go. Here’s what I thought. Starting with the décor and atmosphere of the restaurant, I love the detail that has gone into transforming this old Angus Shop firehouse (and more recently a gaudy SAQ) into the beautiful space it is today. The building which houses Labarake is a protected site which meant the restaurant owners had quite a challenge in dealing with our city’s persnickety architects and engineers. The outside of the building has barely been touched with only street facing sides of the building announcing the name of restaurant. The interior is modern yet warm due to the use of natural elements found frequently in restaurants around the city. Exposed brick walls, a polished concrete floor and wooden and concrete posts make up the basis of the restaurants structure. 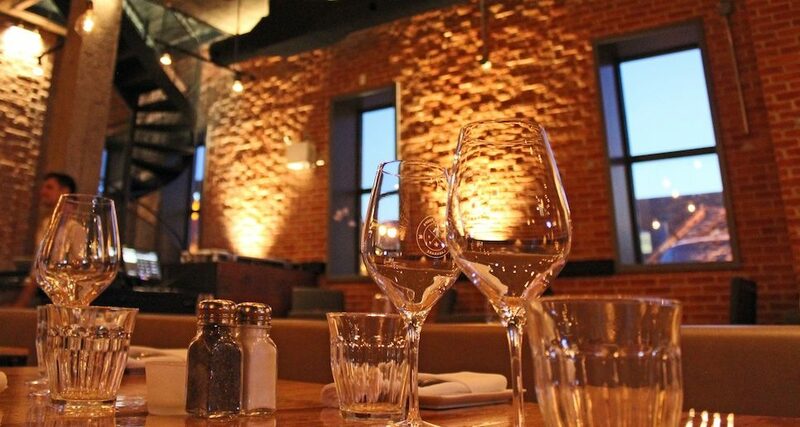 Lofty ceilings and wide windows make the restaurant feel airy, fresh and spacious. There’s plenty of seating with tables for two along the walls and a beautiful centre banquette running down the middle of the restaurant. My main gripe with the opening a few weeks ago was that I didn’t get to sample much of the food. That was not the case with my visit last week. The food my friend and I ordered came well prepared and presented. To start we tried the fried calamari and charcuterie plate. The fried calamari was lightly fried in a delicious batter and served with a sauce composed of sour cream, corn, chorizo and green onions. I chatted with the owners about how my first trip to a restaurant usually means me looking for their burger. Montreal’s restaurants have done a great job taking the burger off the fast food track and turning it into something uniquely gourmet. Labarake does have a burger made with a generous patty of Angus beef and towering with fresh ingredients. Of course I tried it and it was nothing short of amazing. My friend tried the tartar (which I sampled plenty of before) and it was tasty, well seasoned and came with homemade paprika chips. For more on their menu, check it out here! The service at Labarake was exceptional. Our waiter was courteous and attentive and as I looked around the restaurant the rest of the wait staff was serving their tables with the same professional effervescence. My second trip back to Labarake was a delightful experience. 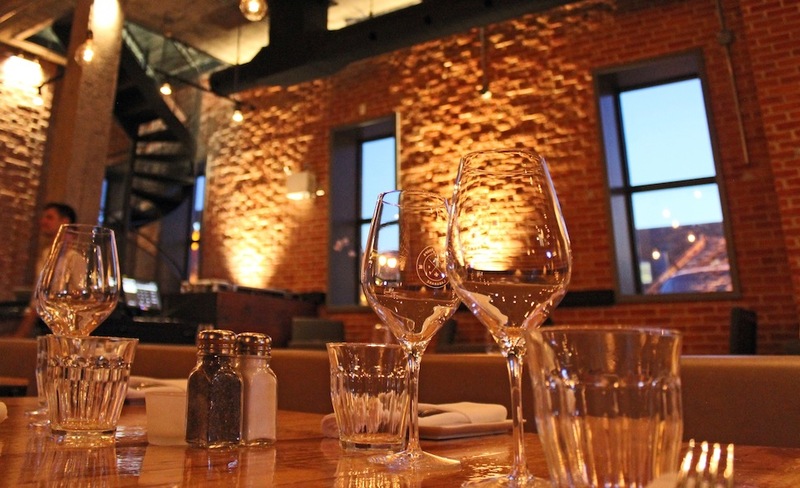 Being located in Shop Angus, the restaurant is a refreshing step away from the regular grind of the Plateau, Griffintown and Old Montreal. In an area so rich in history, Labarake is certainly on the right track.